This homosexual Ottawa priest is back at pushing his lgbt agenda. He wants us to ignore that he disobeyed the 1961 (and 1985) Vatican orders against ordaining men with deep seated homosexual tendencies. For this disobedience, he now wants us to celebrate the gay identity of priests who snuck in. This man should not be allowed anywhere near FacEducation students. He should be ordered into a back-corner Archdiocesan office. How long must the Archdiocese suffer from this man (and St Joe’s parish and St Paul’s U and the OCSB “catholic” school board)? “Within the month of Pride, today we are often a taboo subject, or homosexuality and faith. How can anyone live their religion and homosexuality? A very important blog post to read! RADICAL recommendations at end for even more LGBTQ indoctrination from K to Grade 12 across the entire curriculum . Connection and empathy? For people yes, but not for bad ideas like transgenderism, and not allowing a child to have both a mom and dad! Now, we see he gets married in a tent. Chances that he got a dispensation from form from Cardinal Collins?? 1%? 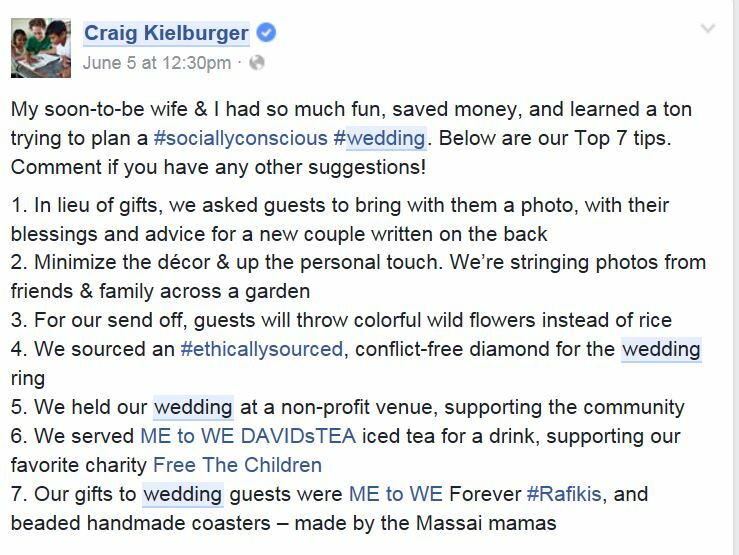 But he did have a “socially conscious eco-friendly wedding”. Is the marriage invalid in the Catholic Church? What a poor example for Catholic children! Shame on the OCSB for ignoring the Kenyan Bishops and continuing to support FTC/We Day! Coren now is resorting to making things up – like what the Catechism actually says! What does the Catechism ACTUALLY say? Winnipeg Free Press needs a fact checker! No wonder their subscription numbers continue to decline. Why do Alpha supporters never mention its most famous graduate? Do pastors want more Justins? But when he turned 18, he became a lapsed Catholic. “I realized that . . . too much of my day-to-day life that was not the slightest addressed by what I was receiving from the church, from the formality, from the structure,” he said. But when his brother was tragically killed in an avalanche in B.C. in 1998, faith became more important. This included accepting an invitation from a friend to attend an Alpha course, an evangelistic discussion group about Christianity.